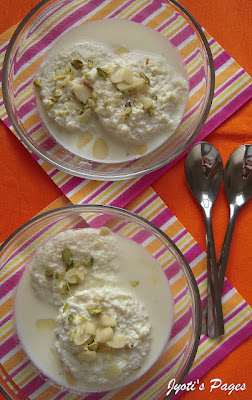 Kalakand is an Indian soft milk fudge sweet dish. It is very popular in India. 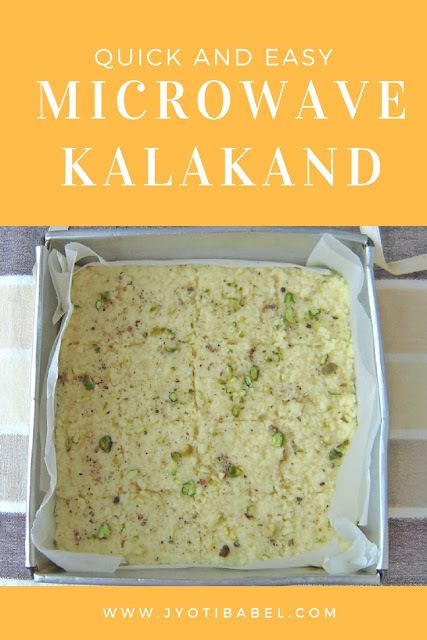 In this post, I am sharing an easy and quick microwave version of this much loved Indian dessert - Kalakand. It is again the time of year when we celebrate 'Rakhi' or 'Raksha Bandhan'. It is the Indian festival to celebrate the bond between brothers and sisters. I had written about it last year when I had shared these decadent chocolate truffles. This year I decided to go for Indian sweets for this special occasion. 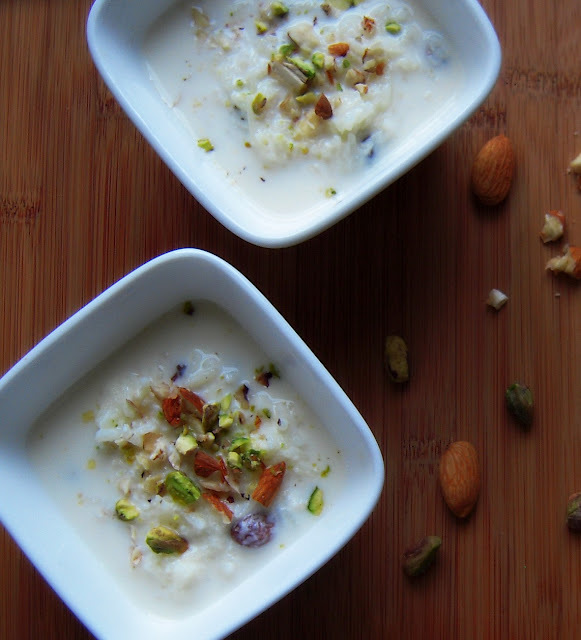 So, in this post, I will present you with 5 recipes to choose from for your dear brother. Of course, the first one is this rich milk based sweet - Kalakand. It is prepared by condensing milk which requires great patience as it needs constant stirring and slow prolonged cooking. Such tedious process is often a deterrent to making this sweet at home. But when I saw this microwave version on Suma's blog, I tried it instantly and since have made it many times. It is so quick and easy that you will not think twice to try it. This recipe needs just 2 main ingredients: freshly made paneer or cottage cheese and condensed milk. Suma had used ricotta cheese but homemade paneer works like a charm too. I have tried it with both cheese and didn't find any difference. 1. Bring the milk to boil. When it boiling add the lemon juice. The milk will curdle instantly. Take it off the gas immediately. 2. Separate the whey from the cheese using a strainer. Squeeze out excess water of the cheese. No need to squeeze out every drop of whey, what we need is just a soft cheese. This should yield about a cup of paneer. 1 condensed milk tin (400 gm). It measures around 1 cup in volume. 1. In a large microwave-safe bowl mix the fresh paneer and condensed milk such that the mixture is uniform. 2. Microwave it for 10-12 minutes stirring every 1 minute. By the end of this process, all the liquid will have evaporated. If it is not so at the end of 12 minutes, continue it for a couple of more minutes. 3. Line a tin with parchment paper and spread the mixture evenly. 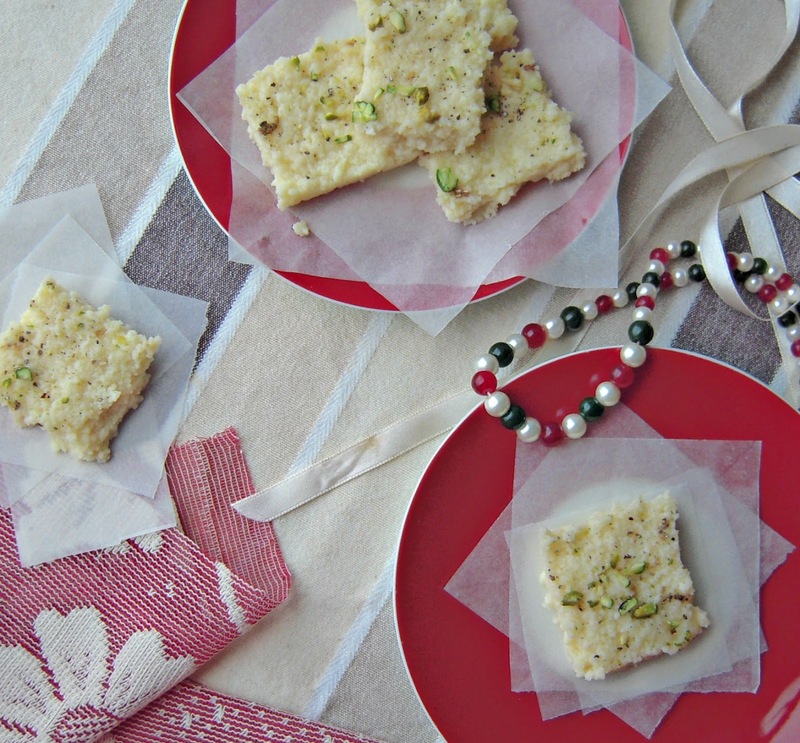 Sprinkle the cardamom powder over it and garnish it with chopped pistachios. 4. 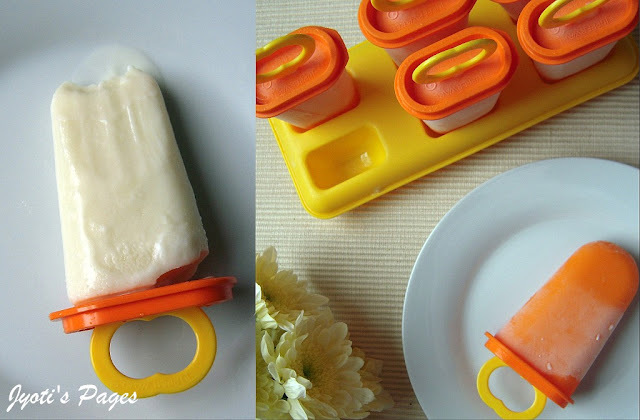 Let it cool down to room temperature and then slice it in the desired shape. At this point, the kalakand slices may not hold its shape. It is always a good idea to refrigerate it overnight or a couple of hours to get firm slices. Enjoy a slice cold. Let me know what special you are making for Rakhi. Have a lovely Rakhi. 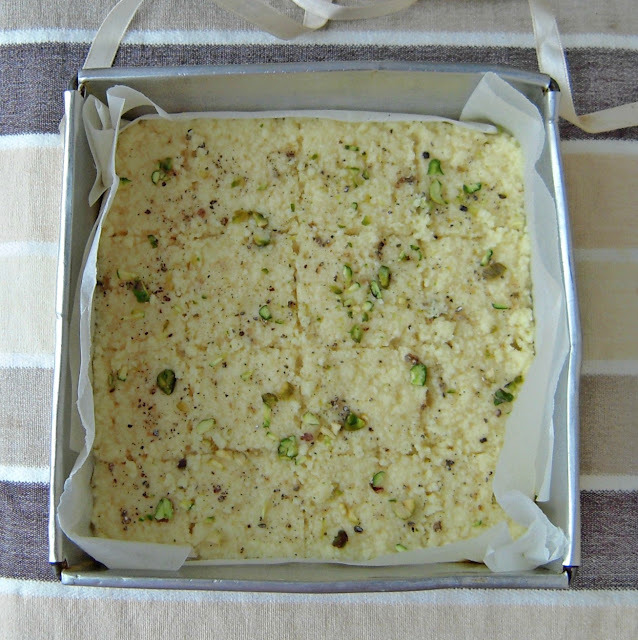 I have made Dudhi Halwa and my baby made Mango Biscotti for her little Brother. Thank you for the linking it to my event. I love kalakand and this looks like a very easy to make recipe. I'd definitely give it a try. I made these kalakands and they were a real delight. I made a chocolate version of it though :-) Thanks for sharing this lovely recipe. I have never heard anything like this before. It’s completely novel. Thanks a lot for sharing the recipe.milk is my favorite and I have one sitting in my kitchen. Wonderful blog & good post. You want to buy fresh sweets and Indian sweets so please come to kanwarjis Sweets. Kanwarjis is a best sweets shop in Delhi/NCR, Indian Sweets in Delhi.